Asia Cup 2018 Final, Ind vs Ban: Will Bangladesh get third-time lucky? There’s an old theory that as an organism develops, it progresses through the same evolutionary stages travelled by its ancestors. Traditionally, economic development has worked in a similar way. When a country first shifts from agrarian poverty to industrialization, it tends to start out in light manufacturing, especially textiles. Later it masters more complex manufactured products, and finally, it progresses to inventing its own cutting-edge technology. Thus, each country’s development tends to look a bit that of nations that already went through the process. That certainly seems to describe the experience of South Korea and Taiwan, which reached developed-country status relatively recently. It’s also the path being followed by China. As these countries got richer and their wages rose, low-tech labour-intensive manufacturing industries tended to migrate to countries with cheaper workers. Recently, one of the biggest beneficiaries of this process has been Bangladesh. The garment industry accounts for more than 80 per cent of the South Asian nation’s export revenue, and about a fifth of its gross domestic product. 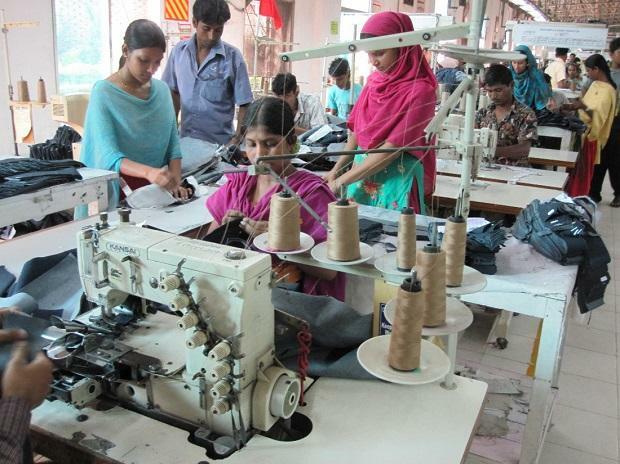 In 2017, Bangladesh was the world’s second-largest apparel supplier after China, with 6.5 per cent of the market, outpacing neighbouring India despite the latter’s much larger economy. This isn't to say that India’s leaders have ignored manufacturing -- indeed, they have long called for a big effort to industrialize. Prime Minister Narendra Modi has courted foreign manufacturers, but so far the effect has been limited. Most observers agree that a lack of infrastructure and an excess of regulatory red tape are the reason India remains a difficult place to make things. Despite its struggles in manufacturing, however, India is growing rapidly -- even faster than Bangladesh, in most years. The reason has been growth in service industries. India’s famous outsourcing companies are just the tip of the iceberg -- software, finance, online services, tourism, logistics, media, health care, and other services have been the biggest driver of India’s impressive growth. Some have suggested that India has discovered a development model that could leapfrog manufacturing entirely, going straight from agrarian poverty to a post-industrial economy. Others are more skeptical. This all leads to a very important question. Will Bangladesh, with its traditional approach to growth, catch up and overtake India? Or has India stumbled upon a new development model that cuts out the need for a country to do a stint as the workshop of the world? This is a crucial question because as technology advances, there’s a concern that the traditional path out of poverty might be closing. Automation is making textile manufacturing less labour-intensive. For one thing, that means that poor countries might no longer be able to create mass urban employment in the garment industry. But even more troubling, it might cause the industry to migrate back to rich countries like the US, where labour is expensive but capital is relatively cheap. Some of this reverse migration might already be happening. In other words, the developing world is at risk of premature deindustrialization. If Bangladesh fails due to competition from rich-world robots, it will bode ill for countries such as Ethiopia that are looking to hop on the escalator to prosperity. That would leave India’s service-centric development model as the only feasible path. Some economists argue that automation hasn’t closed off the traditional path, and that there is still plenty of work for industrious people in poor countries. Bangladesh, meanwhile, is scrambling to diversify into more valuable manufacturing industries such as autos and electronics. So although the leaders of Bangladesh and India have similar goals, the difference in the country’s development models is making for an interesting experiment. Countries in Africa hoping to follow these two South Asian giants’ growth trajectories should be watching keenly. If Bangladesh grows faster, it will suggest that manufacturing, starting with textiles, is still the ticket to industrialization; but if Bangladesh falters and India sustains its growth, it will imply that poor countries should look to services first.